The committee appointed for the monthly revision of fuel prices is scheduled to assemble today (11), a spokesperson from the Ministry of Finance stated. This committee revises the prices of fuel according to the prices of the global oil market and the fuel price formula. Accordingly, the fuel prices are to be revised from midnight today (11). However, according to the spokesperson from the Finance Ministry, the crude oil prices have been continuously on the rise since February 01st. On February 11th, the committee had increased the fuel prices in line with the fuel pricing formula. 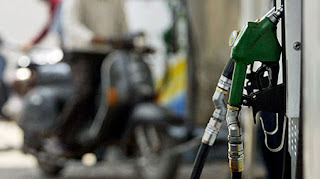 The prices of one litre of Petrol Octane 92 and the Auto Diesel were increased by Rs 6 and Rs 4 respectively. Subsequently, Lanka IOC also increased the fuel prices in line with the price hike announced by the government.